For today’s giveaway, I wanted to offer a couple of new magazines along with a great set of Patterncards by Hillary Lang of Wee Wonderfuls. Let’s start with the magazines. First up is a new-to-me magazine called Living Crafts. The editor contacted me because they reviewed my book, and sent a few free copies my way. This is a great little magazine, especially for those crafters with kids, and I like that they go into detail on a few big projects rather than throwing in a zillion projects. Step by step photos are included for many of the projects in this issue, and a few of my favorites projects are the kitted gnome hats (on the cover), a needle felted playscape, and a patchwork weekender tote bag. 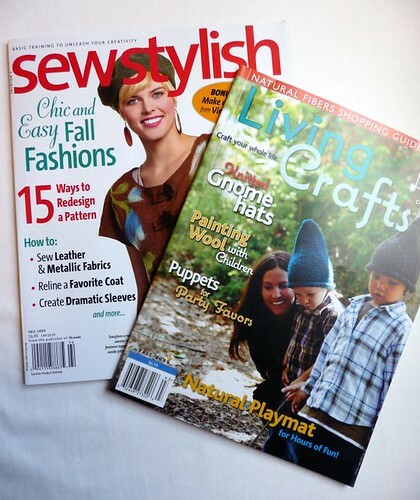 I love that this magazine plays to more than one type of craft (knitting, sewing, felting)! 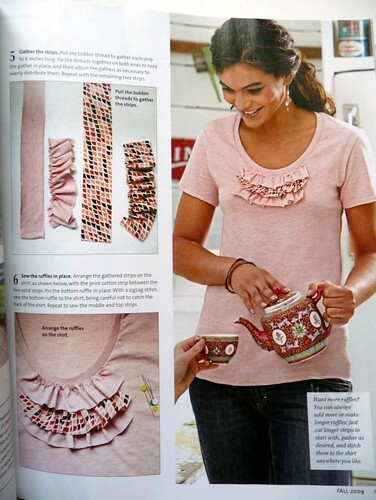 The second magazine is the newest issue of Sew Stylish, to which I contributed a simple t-shirt re-do project. I was given the same t-shirt dress as Erika Kern and Kayte Terry and we all did a spin on it– mine was to shorten the dress and use the excess to add a ruffled collar, an idea which I’ve been seeing a lot of lately. Some of my favorites from this mag are an article by Cal Patch on replacing the lining of a coat, tips on how to sew with fall fabrics such as metallics and brocade, and a skirt story with a very simple-looking yet stunning pleated skirt. And finally, I have a set of Wee Wonderfuls Patterncards. 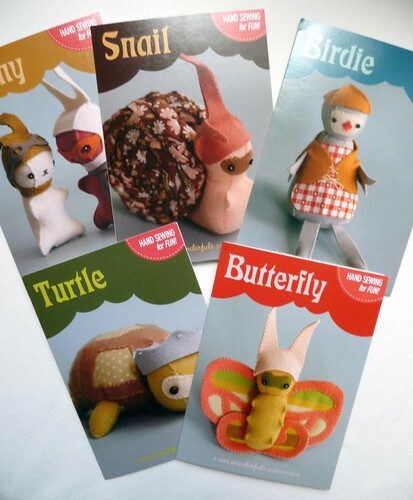 These self contained cuties have all of the templates and instructions you’ll need to sew up a set of felt friends: butterfly, snail, turtle, birdie and bunny. Each can be made from small pieces of felt and scrap fabric, and they’d make a great on the go project. To win all three things, leave a comment here by next Monday, September 14th at midnight mountain time. Good luck! The Wee Wonderfuls look great for my nieces! I love the Wee Wonderfuls patterns so cute! Have some little ones that I would love to make them for, thanks. I my gosh those patterns are lovely. I love the Wee Wonderfuls patterns! I love to either knit, crochet, or hand sew while I wait for my son to get out of preschool, so the patterns would be great for me. I've never heard of the Living Crafts magazine...it looks really interesting. I also like what you did with the t-shirt in Sew Stylish!